GLASS poster released ahead of trailer premiere at SDCCI, film due January 18, 2019! In a welcome surprise, the first teaser poster for GLASS has been released online far in advance of the film’s January 2019 release date. Indeed, M. Night Shyamalan pulled off his greatest twist since THE SIXTH SENSE with his 2016 horror film SPLIT, which turned out to be set in the UNBREAKABLE universe, leading to the long-awaited Unbreakable sequel. Given the immense success of that James McAvoy-led film, Touchstone Pictures gave the go-ahead to finally produce the sequel with Universal Pictures—the studio behind SPLIT—distributing, and now the first GLASS poster has been revealed to the world. The film brings back Bruce Willis as David Dunn, a former college football prodigy with superhuman strength, stamina, and invulnerability who was trained by Samuel L. Jackson’s fragile Elijah Price, who as we all known turned out to be the supervillain of UNBREAKABLE. Now with McAvoy’s Kevin Wendell Crumb—a man suffering from dissociative identity disorder with 24 distinct personalities—on the lose, the paths of David, Mr. Glass, and The Beast converge. This teaser poster is pretty incredible, offering a tremendous use of color while also providing a bit of a reveal in terms of where the story takes us. At the end of SPLIT, we saw David Dunn watching the news from a diner, but in this teaser poster he appears to be incarcerated. We also see the Mr. Glass is institutionalized, while The Beast is either free or somewhere in between. 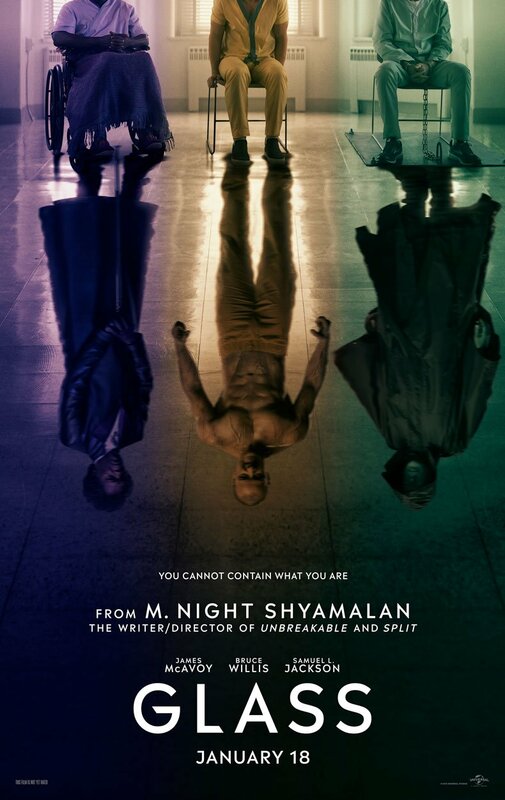 I love the color scheme here, and while the palette for SPLIT was pretty muted, I’m hoping this means Shyamalan is bringing a new aesthetic to the series with GLASS. This is one of the most unlikely superhero trilogies ever made, but many rightly point to UNBREAKABLE as a highpoint of the genre, so I can’t wait to see some of GLASS in action. In revealing the poster on Twitter, Shyamalan also announced the film will be at San Diego Comic-Con International on July 20th, where he seemed to insinuate the first trailer will debut. GLASS opens in theaters on January 18th. INDIANA JONES 5 release delayed as screenwriter Johnathan Kasdan joins! As Lucasfilm recalibrates the future of its STAR WARS franchise, the company is pressing forward with its other marquee property, as Jonathan Kasdan (SOLO: A STAR WARS STORY) has signed on to replace David Koepp as the writer of INDIANA JONES 5, multiple sources revealed. This new writing assignment will delay the production for at least several months, pushing the film’s release past 2020. Representatives for Kasdan and Disney/Lucasfilm had no comment. Producer Frank Marshall did not respond to a request for comment, nor did Koepp or his representatives. This past March, Spielberg announced plans to start production on INDY 5 in the U.K. in April 2019, as the tentpole was slated to hit theaters on July 10, 2020. The previous four films in the INDIANA JONES series have collectively grossed nearly $2 billion worldwide, and after the mixed response to CRYSTAL SKULL, Spielberg is pulling out all the stops to send Ford’s Indy off on a high note — should Kasdan inherit the previously reported plan to pass the franchise torch to a younger actor in this film. And that’s the thing. We don’t know the nature of Kasdan’s gig, so there are a few things we want to get straight. We aren’t sure if he’s rewriting Koepp’s existing script or if he’s starting completely from scratch. We also don’t know if Kasdan is writing the script with a partner — perhaps his father, Lawrence Kasdan, with whom he wrote SOLO, and who counts RAIDERS OF THE LOST ARK among his many credits. We also don’t know when Koepp left the project or when Kasdan was hired, be it before or after SOLO opened below expectations, so it’s possible that he has been working on INDY 5 for some time now. As for who will ultimately get credit, we’ll leave that up to the WGA to decide. Prior to co-writing and co-producing SOLO, Kasdan wrote and directed THE FIRST TIME starring Britt Robertson and Dylan O’Brien, and IN THE LAND OF WOMEN starring Meg Ryan, Adam Brody and Kristen Stewart. He also wrote for two of my fan-favorite shows — ‘Dawson’s Creek’ and ‘Freaks and Geeks’. Kasdan is represented by WME. New THE HOUSE WITH A CLOCK IN ITS WALLS trailer peeks at magical adaptation, film due September 21, 2018! Universal Pictures has released a new trailer for THE HOUSE WITH A CLOCK IN ITS WALLS, the new family-friendly gothic thriller from Eli Roth and Amblin Entertainment about a ten-year-old who goes to live with his uncle in “a creaky old house with a mysterious tick-tocking heart” and finds himself in a world of magic when he accidentally awakens the dead. The film stars Jack Black as the uncle, a small-town Warlock, and Cate Blanchett as the witch next door, who get caught up in the young boy’s magical adventure. Any movie that features Kyle MacLachlan as a warlock already has my attention, and indeed it’s an odd feeling for me to be genuinely excited about an Eli Roth film. The filmmaker known for his gore and violence has made a straight-up kids movie, and it looks to feature the appropriate concoction of fun, creepy, and dangerous. This looks like it could become something of a Halloween staple if it delivers the goods, and while this trailer gives away a lot, I’m still looking forward to sitting down and enjoying what twists and turns the full film has up its sleeve. THE HOUSE WITH A CLOCK IN ITS WALLS also stars Owen Vaccaro, Colleen Camp, Renée Elise Goldsberry, Vanessa Anne Williams, and Sunny Suljic. 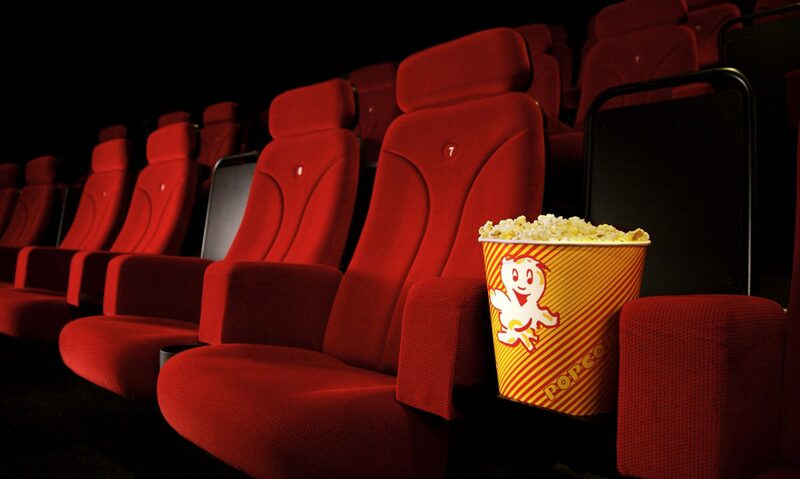 The film arrives in theaters on September 21st. Here’s some news that will certainly make you feel one way or another: Jared Leto is set to star in the title role of MORBIUS THE LIVING VAMPIRE, Sony’s SPIDER-MAN spin-off that focuses on the vampiric villain from the pages of Marvel Comics. Director Daniel Espinosa (SAFE HOUSE, LIFE) is set to helm the pic. Written by Burk Sharpless and Matt Sazama (‘Lost in Space’), Morbius will be produced by Avi Arad and Matt Tolmach with Lucas Foster, and with Sony’s Palak Patel overseeing for the studio, as Variety reports. Now that we’ve got that out of the way, how do you feel about this news? I’d imagine the Leto fans out there, whether you’re a fan of “30 Seconds to Mars” or his Oscar-winning work on the big screen, are happy to see him getting another high-profile superhero movie role. For others who can’t think of Leto without his particular brand of Joker toxin flooding their memories, this is probably some pretty upsetting news. And then there’s the contingent of folks out there for whom this means nothing at all since Morbius isn’t exactly a household name. For yours truly, this is like anti-news. It’s the kind of story that actively repels me away from reading any further. Your mileage may vary, but the news of Leto being attached to this role is stretching my ability to hold back skepticism and retain cautious optimism until the movie is actually out in the world. The downside here is that Leto’s role as Morbius apparently won’t affect his plans to return as the Joker in any of Warner Bros.’ upcoming films. No plot details for MORBIUS THE LIVING VAMPIRE beyond the obvious are available, but Sony is looking to start production this year. The studio’s other SPIDER-MAN films include the VENOM spin-off with Tom Hardy this October 5th, followed by SPIDER-MAN: INTO THE SPIDER-VERSE on December 14, 2018. Honestly, I’m most excited for the next MCU feature, SPIDER-MAN: FAR FROM HOME opening July 5, 2019, so you can miss me with this Leto nonsense for the next couple of years. There’s a plum role in the anticipated sequel TOP GUN: MAVERICK that needs casting, and three in-demand actors are reportedly at the top of the list. Tom Cruise and Val Kilmer are reprising their roles as Maverick and Iceman, respectively, in the follow-up, but the dearly departed Goose (played by Anthony Edwards) will have a presence in the form of his adult son. Per THR, Glen Powell (SET IT UP), Nicholas Hoult (MAD MAX: FURY ROAD), and Miles Teller (WHIPLASH) are the three frontrunners to land the role at this point in time. THR says testing has been ongoing with Cruise and producers Jerry Bruckheimer and David Ellison leading the charge, and while Dylan O’Brien (THE MAZE RUNNER) and Austin Butler (‘The Shannara Chronicles’) were in the mix at an earlier stage, the list has been narrowed down to Powell, Hoult, and Teller. One might imagine Teller has a bit of a leg-up here as he recently starred in director Joseph Kosinski’s ONLY THE BRAVE, and Kosinski is at the helm of TOP GUN: MAVERICK, reuniting with Cruise after they made the sci-fi drama OBLIVION together. But the fan pick here is likely Powell, who broke out in a big way in Richard Linklater’s EVERYBODY WANTS SOME and HIDDEN FIGURES, and who recently made a splash with the critically acclaimed Netflix romcom SET IT UP. Powell has a charisma that’s undeniable, but he’s also got a kindness about him that would seem to evoke Edwards’ vibe that made Goose so memorable. Of course Nicholas Hoult wouldn’t be a bad choice either, and he most recently wrapped the lead role in the J.R.R. Tolkein biopic TOLKIEN and reprises his role as Beast in X-MEN: DARK PHOENIX. Meg Ryan played Goose’s partner in TOP GUN, and it’ll be interesting to see if she reprises her role for this sequel. Pre-shoots on the film recently went underway as Cruise shared the first image of himself back in costume, but it’s clear that principal photography has yet to begin with this key role needing to be cast. We’ll surely find out who lands it soon enough. TOP GUN: MAVERICK opens in theaters on July 12, 2019. 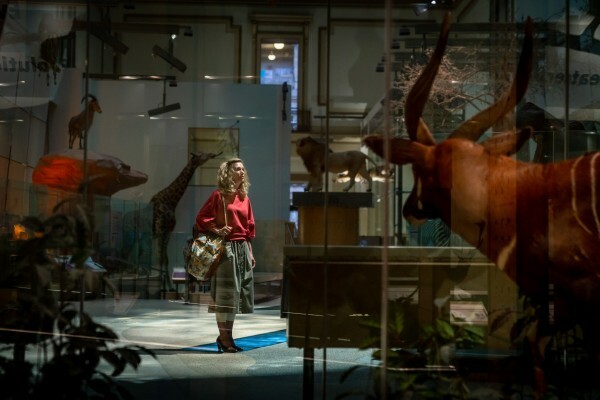 First look at Kristen Wiig’s Barbara Minerva in WONDER WOMAN 1984, due November 1, 2019! Our first look at Kristen Wiig in the highly anticipated WONDER WOMAN 1984 has arrived. The SNL veteran plays the villain Cheetah in the sequel, but here we get a look at the character before she turns supervillain. Indeed, the image was shared by director Patty Jenkins with the caption, “Enter Barbara Minerva,” which is the real name of Cheetah in a version of the comics. In that source material, Minerva was the heiress of a vast fortune who developed a thirst for archaeology. Her travels then led her to a tribe in Africa, where she received the immortal powers of the Cheetah. It’s unclear how close the character will stick to the comics in the film, however, as the superhero movie genre has taken great liberties with source material to great success in the past (see: THE DARK KNIGHT and pretty much every Marvel movie). Here, Minerva looks to be quite mild mannered as she gazes upon what we can reasonably assume is a cheetah, and indeed rumors have swirled that the character actually begins the film as an admirer of Wonder Woman’s (Gal Gadot) before breaking bad. WONDER WOMAN 1984 takes place in, well, 1984 and follows the further adventures of Diana Prince. This is still technically a DCEU prequel since it takes place before the events of BATMAN V SUPERMAN and JUSTICE LEAGUE, but Jenkins did a tremendous job of introducing Diana in WONDER WOMAN and I can’t wait to see what she does with this sequel. This is the latest in a series of official images that have been shared as WW84 undergoes production, with the first revealing that Chris Pine will somehow be reprising his role as Steve Trevor in the follow-up. WONDER WOMAN 1984 also stars Pedro Pascal and opens in theaters on November 1, 2019. First look at Leonardo DiCaprio and Brad Pitt in ONCE UPON A TIME IN HOLLYWOOD! It appears that production has begun or is about to begin on Quentin Tarantino’s next film ONCE UPON A TIME IN HOLLYWOOD, as Leonardo DiCaprio has shared a first-look image of himself and co-star Brad Pitt in costume. The original story takes place in 1969 and finds DiCaprio playing the former star of a Western TV series struggling to make it in Hollywood alongside his longtime stunt double, played by Pitt. Their paths get further complicated by the fact that DiCaprio’s character lives next door to Sharon Tate, played in the film by Margot Robbie. DiCaprio looks delightfully 1960s here, and Pitt looks debonair as usual. This script has been described as PULP FICTION-esque in tone, and indeed Tarantino has assembled a sprawling ensemble for his ninth and potentially penultimate film ever. The writer/director has long said he plans on retiring from filmmaking after 10 films, so ONCE UPON A TIME IN HOLLYWOOD could be the beginning of the end. The incredible cast also includes Timothy Olyphant in a major role, with Al Pacino, Burt Reynolds, Damian Lewis, Luke Perry, Dakota Fanning, Clifton Collins, Keith Jefferson, Emile Hirsch, and Nicholas Hammond filling out the cast thus far. It’s unclear if filming has actually started or if this is a photo from pre-production, but it’s possible that some location shooting is about to begin and DiCaprio and Tarantino wanted to get an official picture out there before some poor quality paparazzi shots go live. This film marks a first for Tarantino in that he’s working with Paramount Pictures. The filmmaker traditionally teamed up with Harvey Weinstein on his films, first through Miramax and then through The Weinstein Company, but for obvious reasons that didn’t happen this time out. Tarantino’s script was courted by various major studios, but ultimately he chose to make the film at Paramount as that studio gave him the budget he wanted to get this thing made right. ONCE UPON A TIME IN HOLLYWOOD opens in theaters on August 9, 2019.